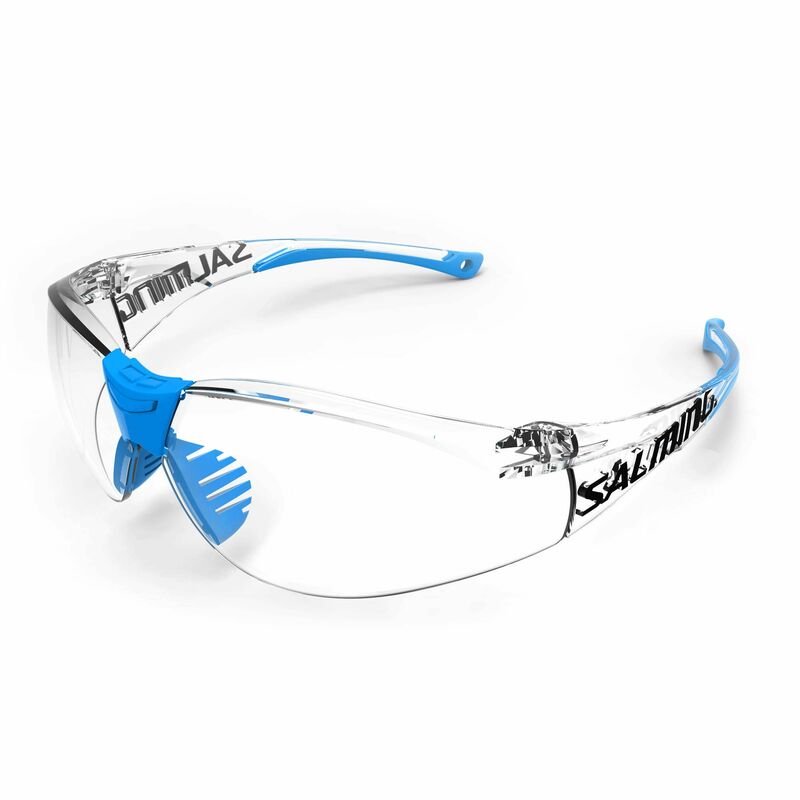 The Salming Split Vision senior squash goggles have been designed to protect your eyes during the game and feature high impact shatter proof polycarbonate lenses with anti-scratch and anti-fog treatment. They ensure excellent distortion free vision and for a secure and comfortable fit, there is a special wrap around design. In addition, these stylish and lightweight goggles guarantee transparent protection against harmful UVA and UVB rays. for submitting product information about Salming Split Vision Senior Squash Goggles We aim to answer all questions within 2-3 days. for submitting product information about Salming Split Vision Senior Squash Goggles. We aim to answer all questions within 2-3 days. If you provided your name and email address, we will email you as soon as the answer is published. for submitting product review about Salming Split Vision Senior Squash Goggles.